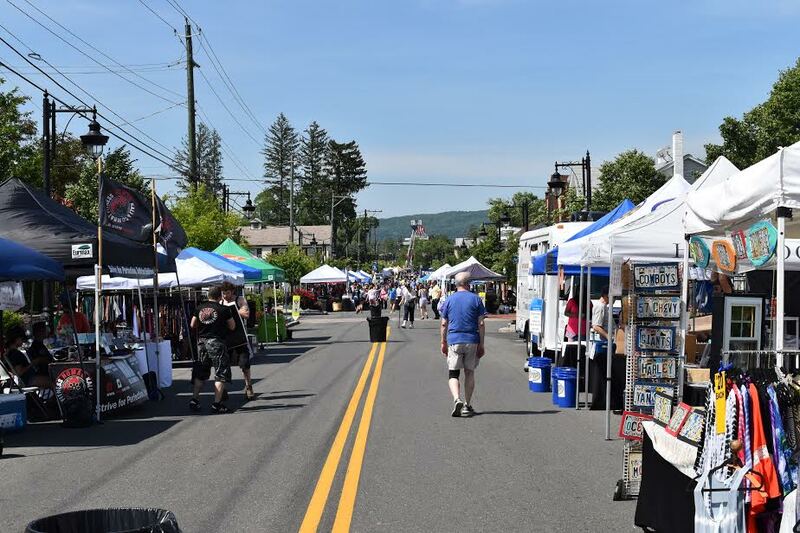 Main Street, New City was brimming with the sound of live music, the smell of food, and the sight of arts and crafts on Sunday as Clarkstown welcomed the New City Street Fair, produced by the Woodwill Corporation. The show hosted dozens of vendors, many of whom traveled from outside of Rockland County to be in attendance. 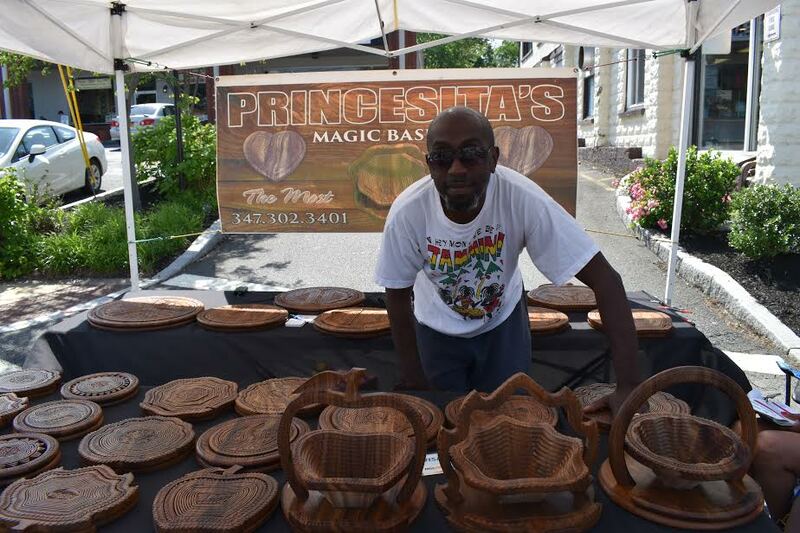 Gregory and Chanel Janvier of Jamaica, NY were selling handcrafted items as well. “We first tried local flea markets and we saw success, so we started going to bigger events such as this one,” said Gregory. “Most people think these are trivets or hot plates when they first see them…We love seeing people’s reactions when it unfolds into a basket,” he added. Despite the prominence of this show, vendors and guests agreed that the heat was a major deterrent to the number of people in attendance as the temperature reached well above 90 degrees. Even with the heat, vendors proudly displayed their arts and crafts to the public. They enthusiastically shared the stories with all who inquired of hard work, innovation and inspiration that went into their products. 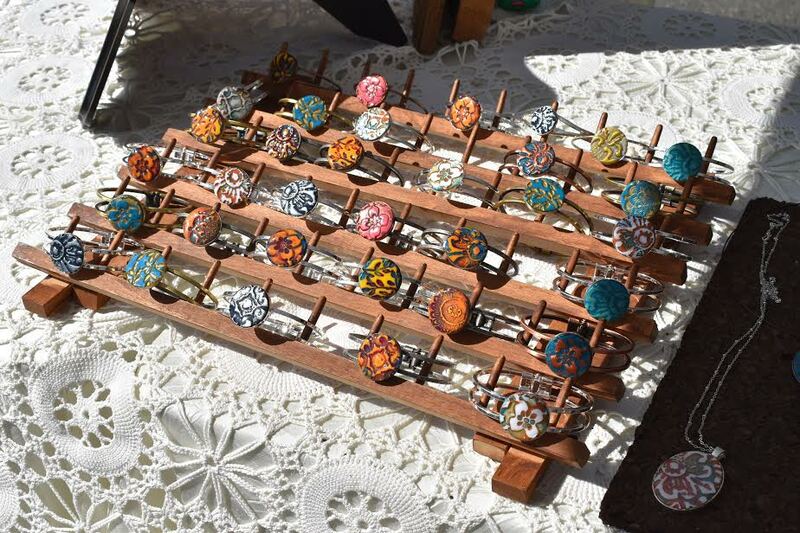 Prior to the New City event, Woodwill had already produced street fairs in Nanuet and Nyack this year.